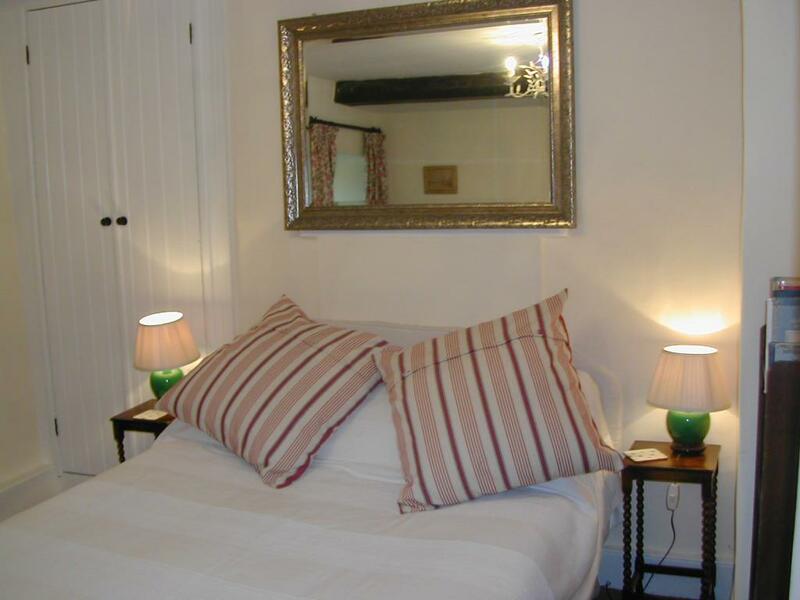 The King Bedroom has a comfortable kingsize bed with crisp white linen and towels. 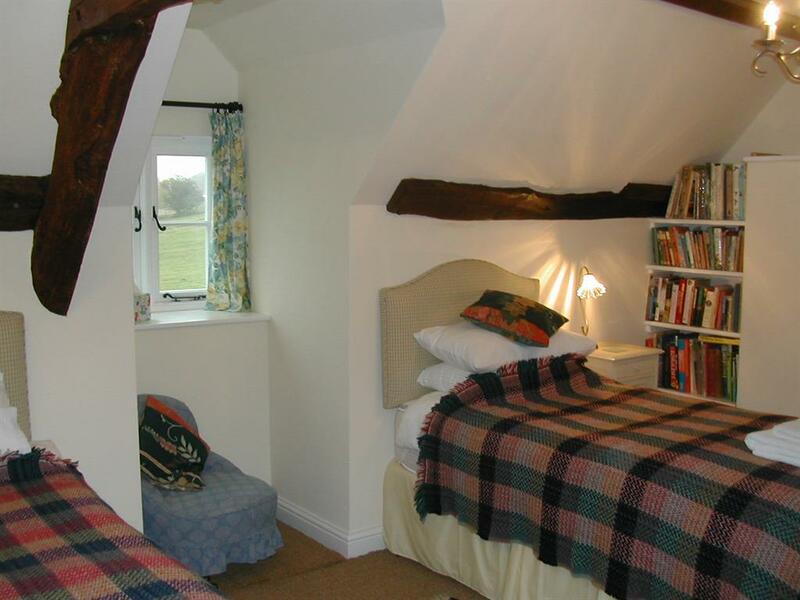 This bedroom has two windows with lovely views of the gardens and countryside. Tea and coffee making facilities and hair dryer are supplied. 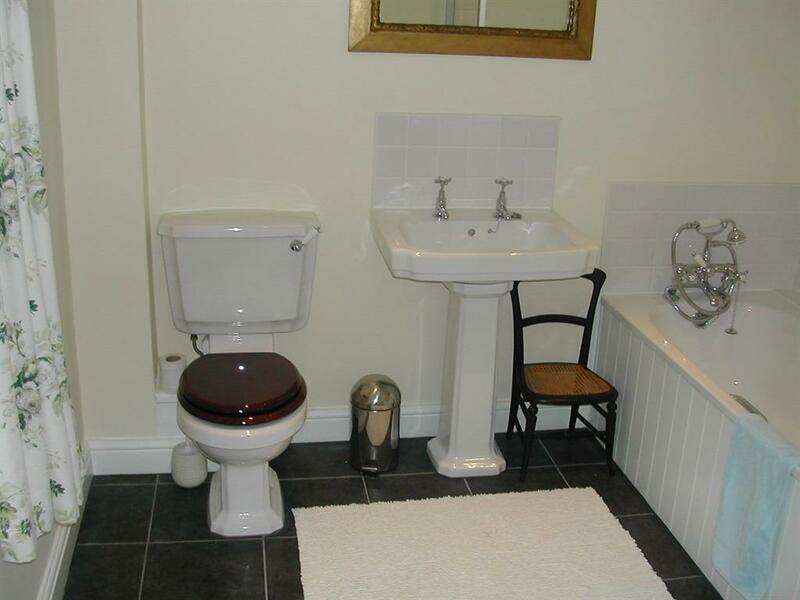 There is a large ensuite bathroom with both bath and shower facilities. There is a garden room downstairs to relax in. 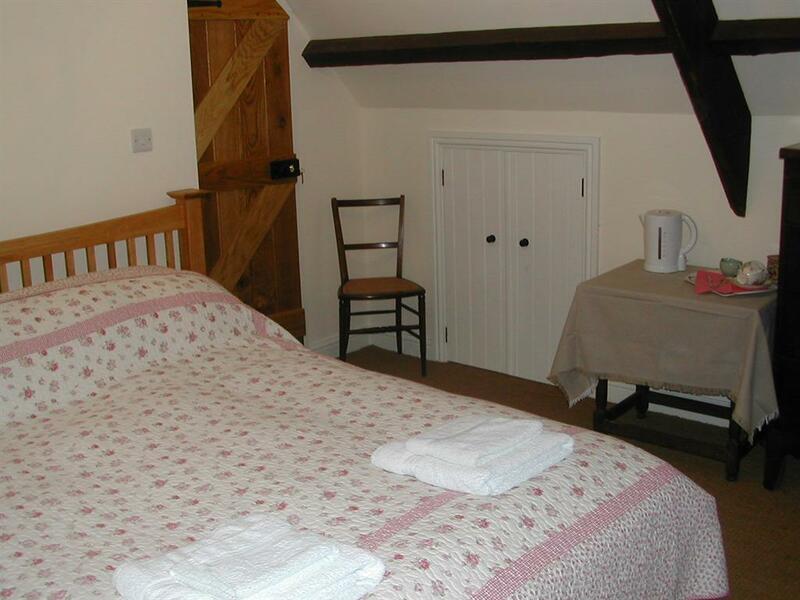 The Farmhouse Double Bedroom is in the oldest part of the farmhouse and has old beams and a sloping floor. 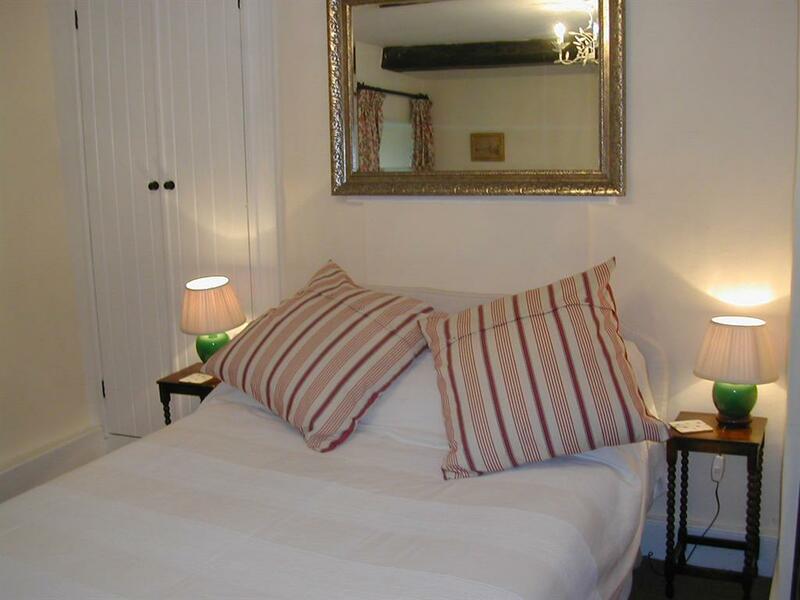 The double bed is comfortable with crisp white linen and towels. Tea making facilities and a hair dryer are supplied. This bedroom has its own private bathroom with a bath and walk in shower. There is a garden room downstairs in which to relax in. The Family Bedroom is two adjoining bedrooms. 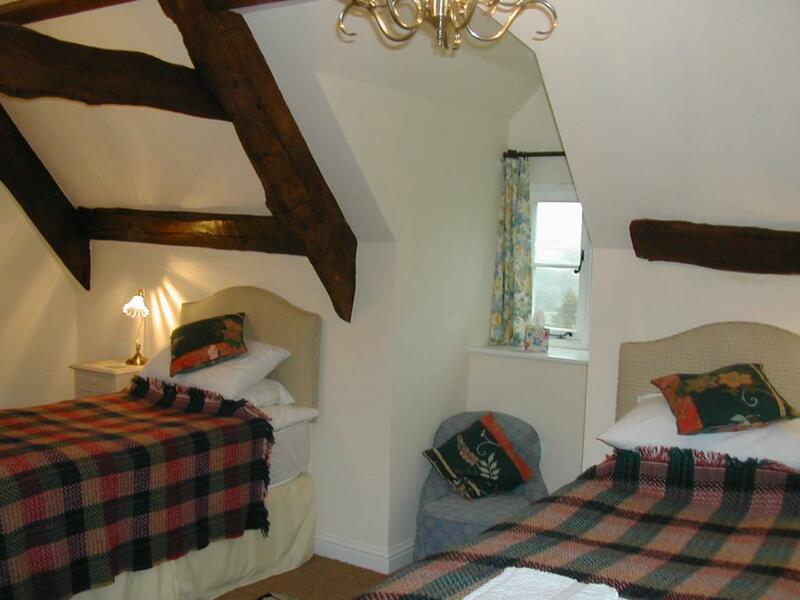 One bedroom has a comfortable kingsize bed with an adjoining door to a large bedroom with two decent sized single beds. Both bedrooms have windows with views looking out towards the hills. 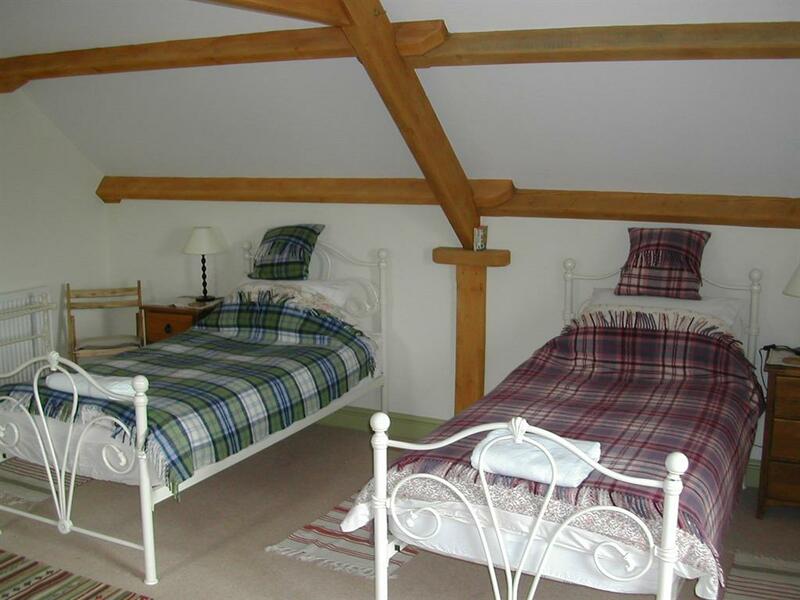 The Hayloft has wonderful views of the hills, a large dining/sitting area, fully fitted kitchen and a spacious dormitory style bedroom comfortably accommodating 2-4 people. 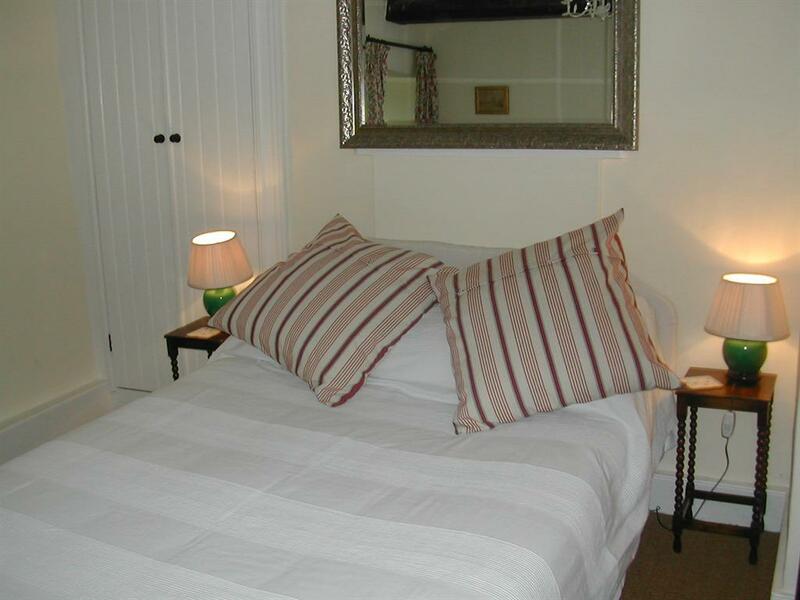 The bedroom has decent sized single beds and can be booked to accommodate 2, 3 or 4 guests. Large loft with views. 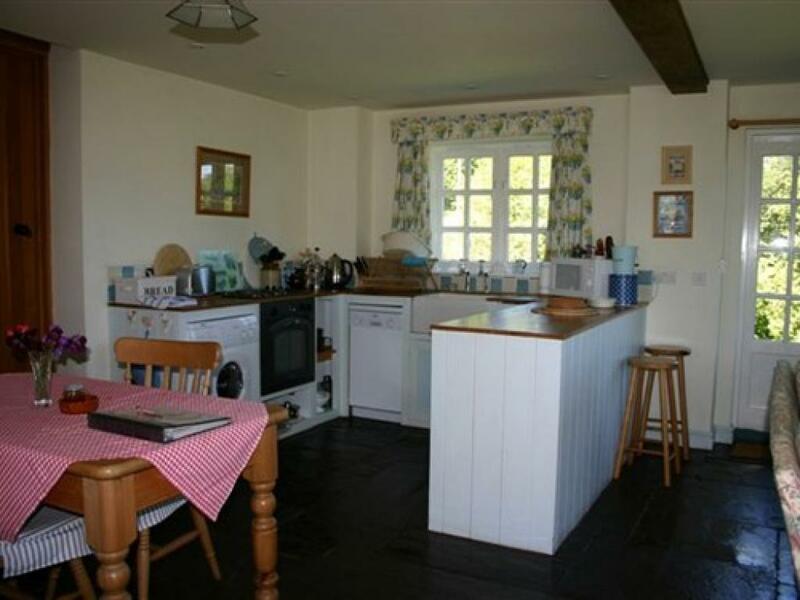 Comfortable single beds and spacious sitting room, dining area and kitchen. Downstairs bathroom with walk in power shower. Stabling with a secure tack room; a secure bike and fishing rod room with a wash down facility. Plenty of parking space. Our stables are ready for visiting horses. We have 4 spacious individual stables that face each other in a large barn. Each stable is well over the BHS required stable standard size. The barn has plenty of room to bring horses in out of the rain, to mount/dismount. We have a hosing down area in the barn and an airing rack to hang wet, damp or steaming rugs and equipment. We provide a large walk in safe storage tack room that also has a kettle, mugs, tea and coffee available. Horses staying the night have straw and hay supply included in the rate and extra hard food can be specially ordered in advance. Please make sure that you don’t forget to muck out your horses stable before you leave! The paddocks are close to the stable barn and also to the farm yard. The horses can be viewed in their field from The Hayloft. Staying in Alltybrain Farm B&B or as Self-catering Guests in The Hayloft is a popular place for riders exploring the hills on horseback or for mountain bikers wanting to test their skills on the many different biking trails in The Brecon Beacons National Park and also on the Eppynt. 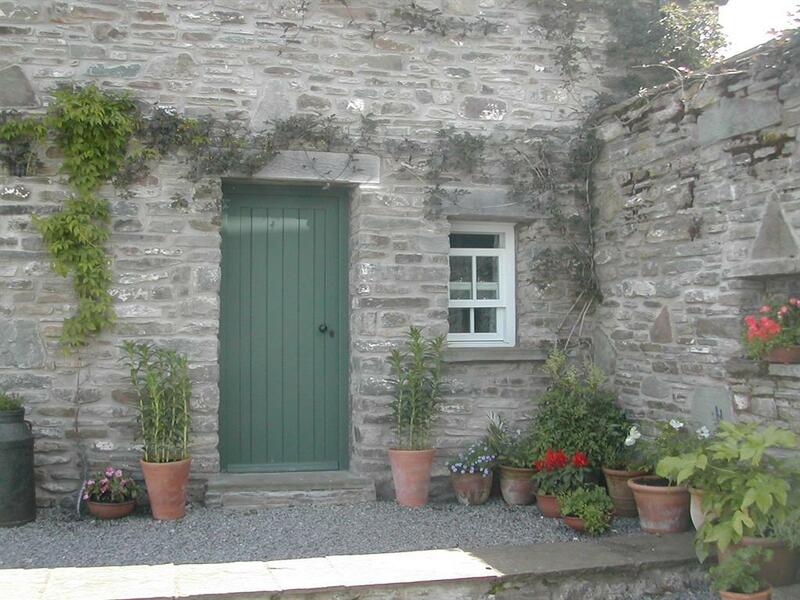 Damson Cottage is a charming 200 year old selfcatering holiday cottage which is up a private lane and set back off the yard at Alltybrain Farm. 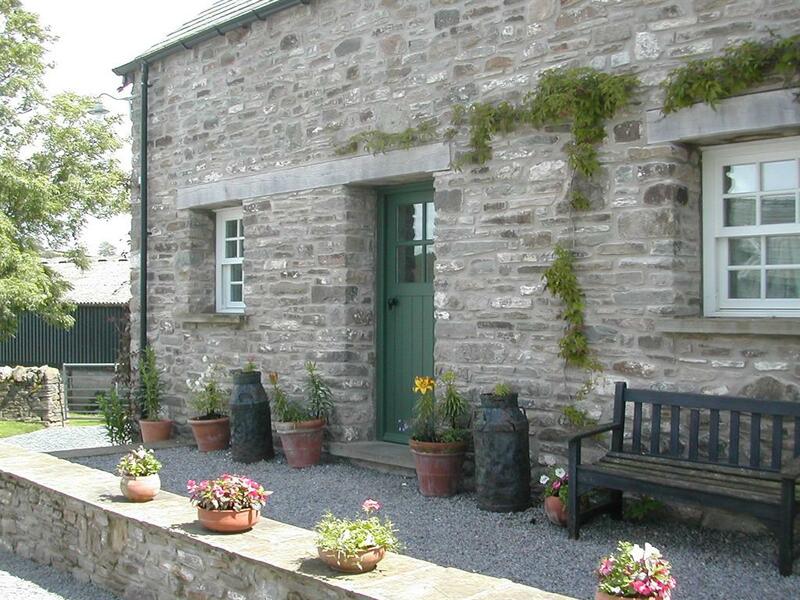 Recently graded five stars by Visit Wales this attractive holiday cottage in Wales provides excellent accommodation for two people. 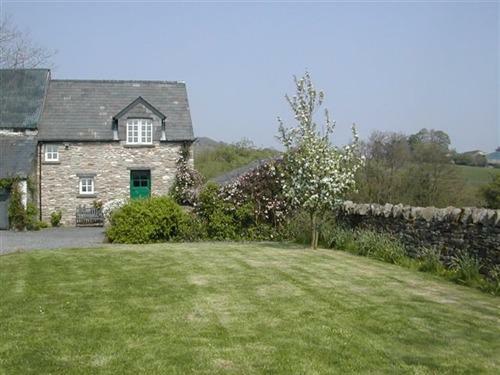 With full central heating, a wood burning stove and a plentiful supply of wood this cottage for two will ensure a cosy stay in Wales during the winter months. 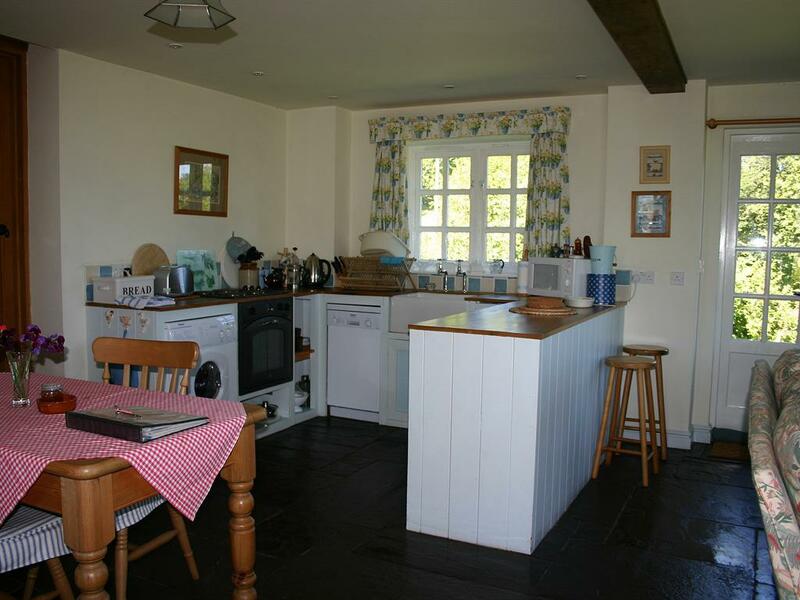 The cottage has good mobile reception and is fully equipped for a wonderful and relaxing holiday. 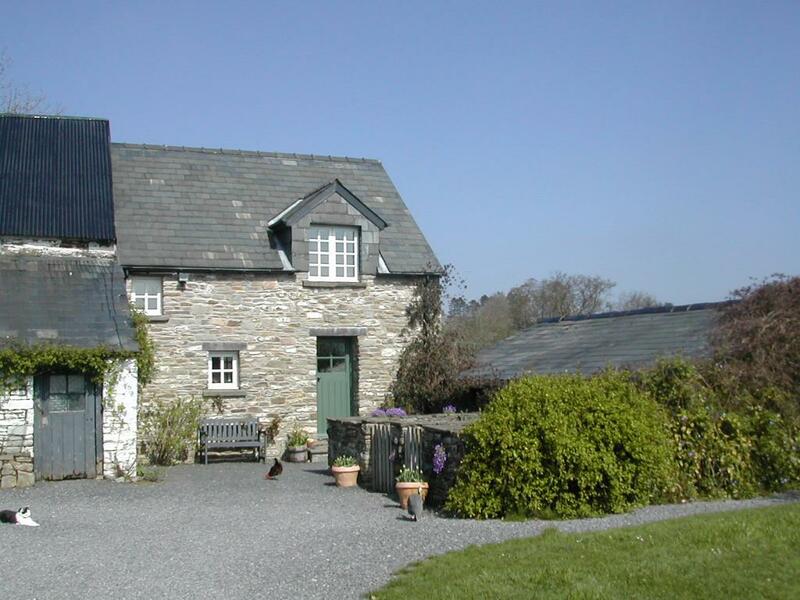 The cottage has The Welcome Cyclist and Welcome Walkers Certificates as well as being awarded a Silver level with The Green Business Tourism Scheme. 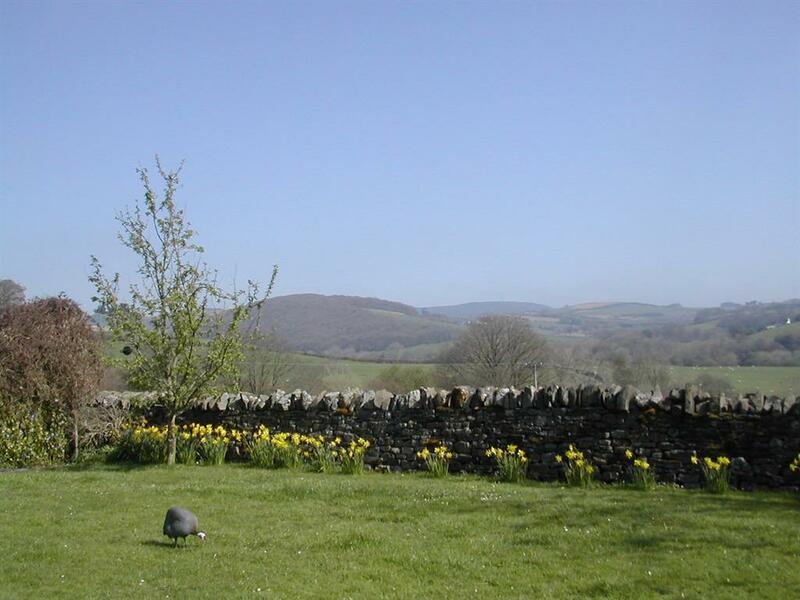 Damson Cottage is a peaceful place to stay surrounded by Welsh countryside and is situated just 4 miles from the historic market town of Brecon near the Brecon Beacons National Park. It is a pretty little holiday cottage in Wales and is proving to be a very popular holiday cottage for two people wanting a cottage holiday deep in the Welsh countryside. 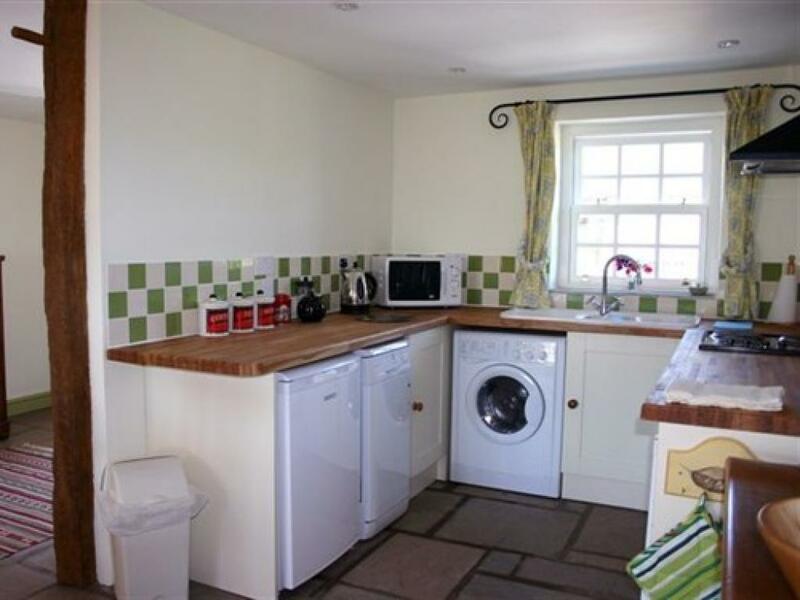 5* Romantic one bedroom cottage with all modern amenities, flagged stone floor with open sitting room, dining area, kitchen and private garden. Woodburner with plenty of firewood. 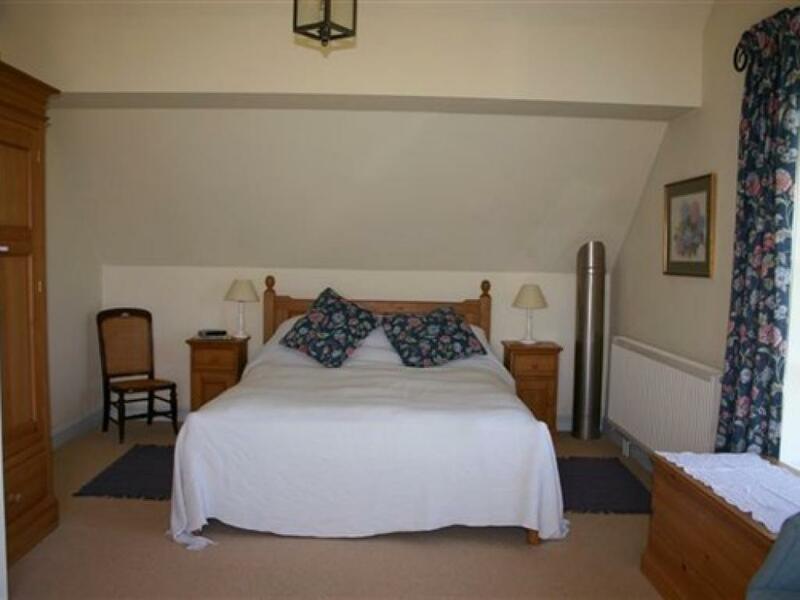 Upstairs fabulous views and large comfortable king size bed. Bathroom has a bath with shower mixer taps and a power shower. Private garden with BBQ and garden furniture. The local pub serves good food within easy walking distance. 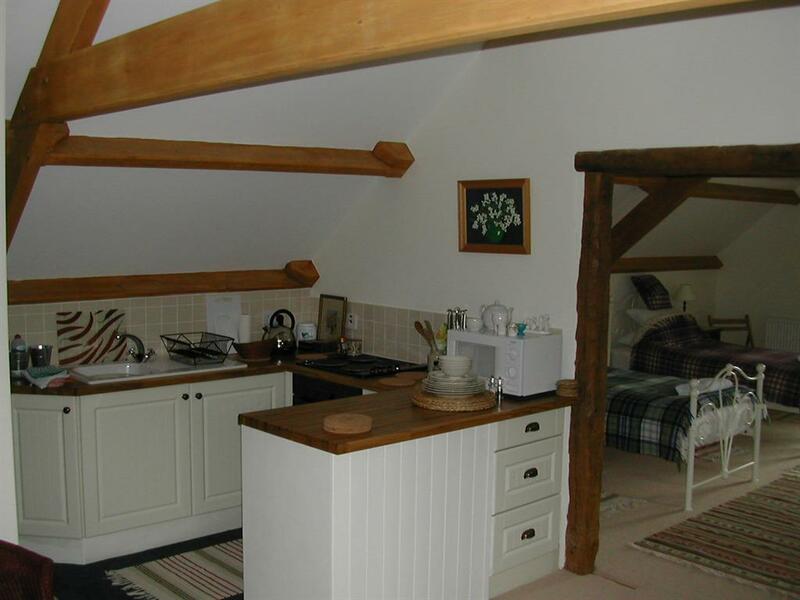 Duck cottage is a traditional stone converted barn which retains many old features including a large oak beam complete with its wooden pegs for hanging the farmhorses' leather harnesses. 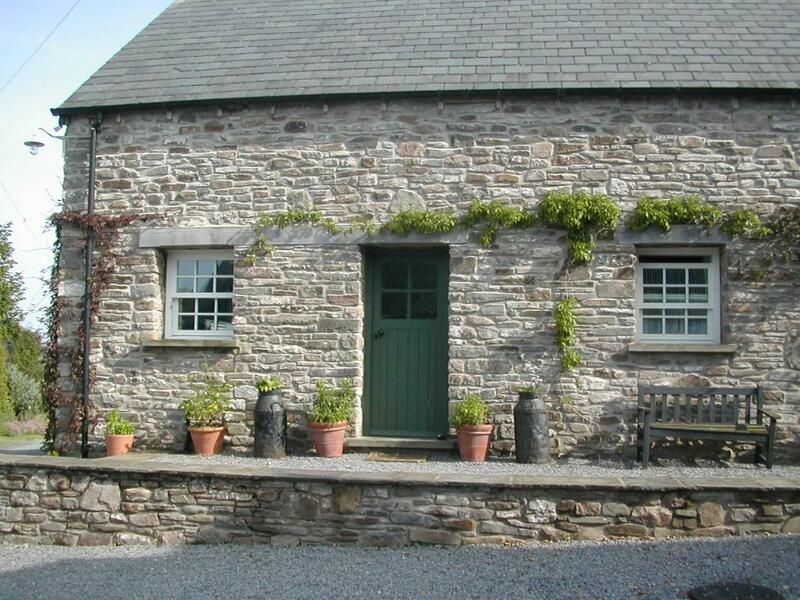 This welsh holiday cottage has been restored to a high standard giving comfortable accommodation with central heating, a wood burning stove, a fully equipped kitchen and a lovely flag stone floor. 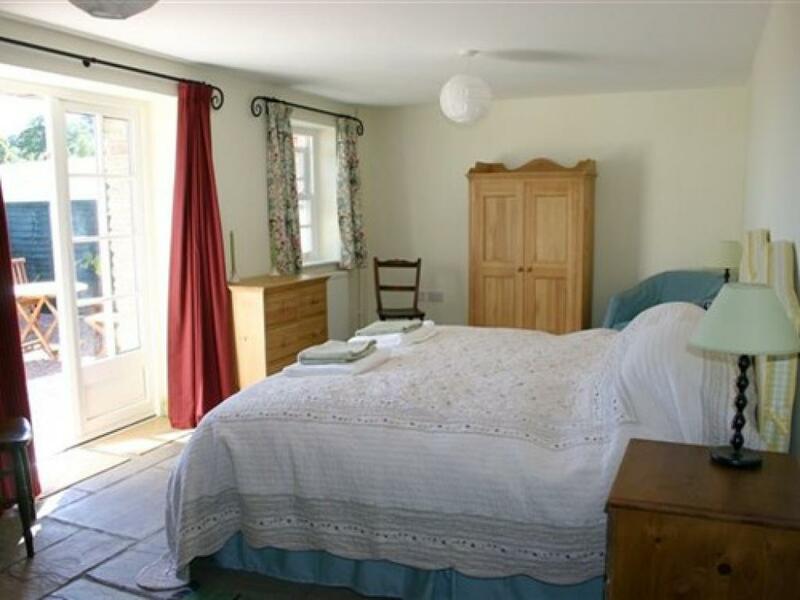 Duck Cottage has fabulous views from every window and double doors from both the sitting room and large bedroom which open out onto a sheltered sunny patio area. There is a private lane up to the cottage and plenty of safe parking space secure area for bicycles and walking or canoe equipment. 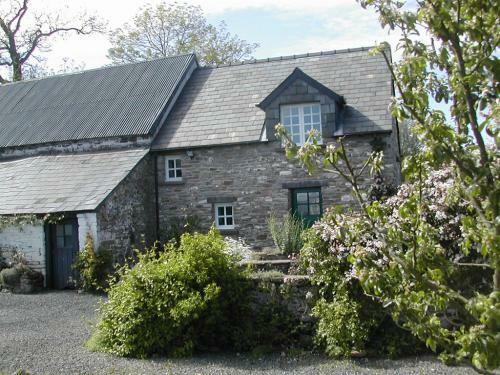 The cottage is 4 miles from Brecon and close to The Brecon Beacons National Park. 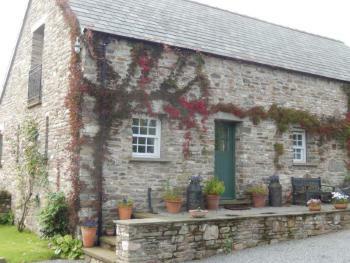 Duck Cottage is graded 4 Stars by Visit Wales. 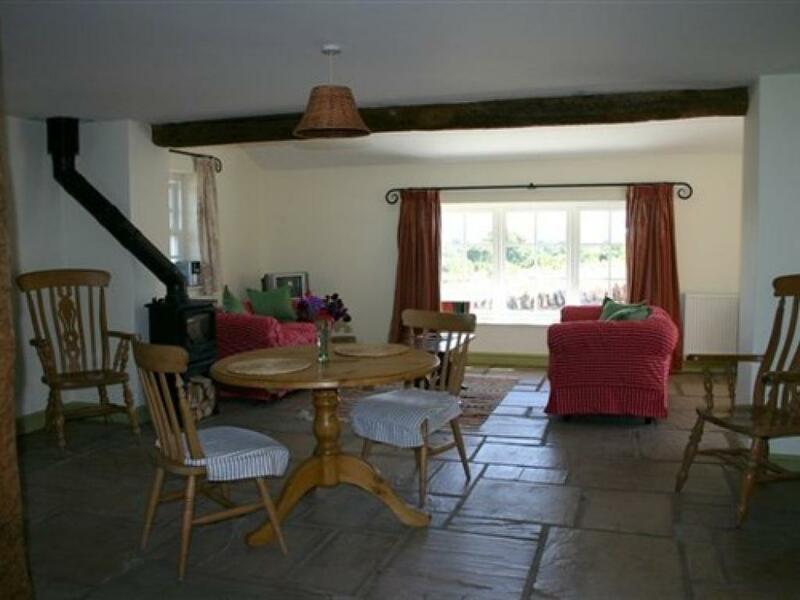 Attractive 5 Star Ground floor old stone cottage with flagged stone throughout and French windows leading out to a patio area. All modern amenities, sitting room, dining area and fully equipped kitchen. 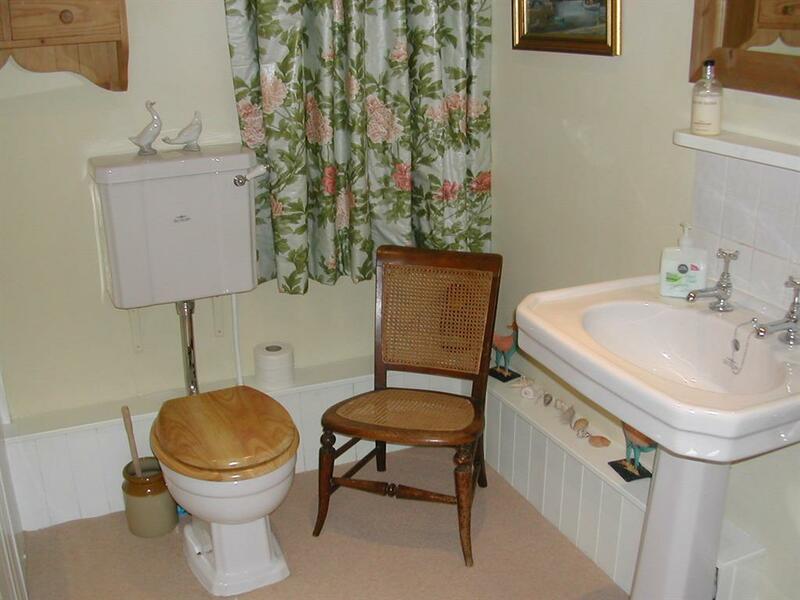 Spacious bathroom and excellent large walk in power shower. Fabulous views from every window. 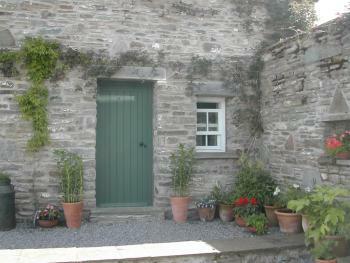 Alltybrain Farmhouse B&B and the self-catering cottages are up a private lane with plenty of secure carparking space. 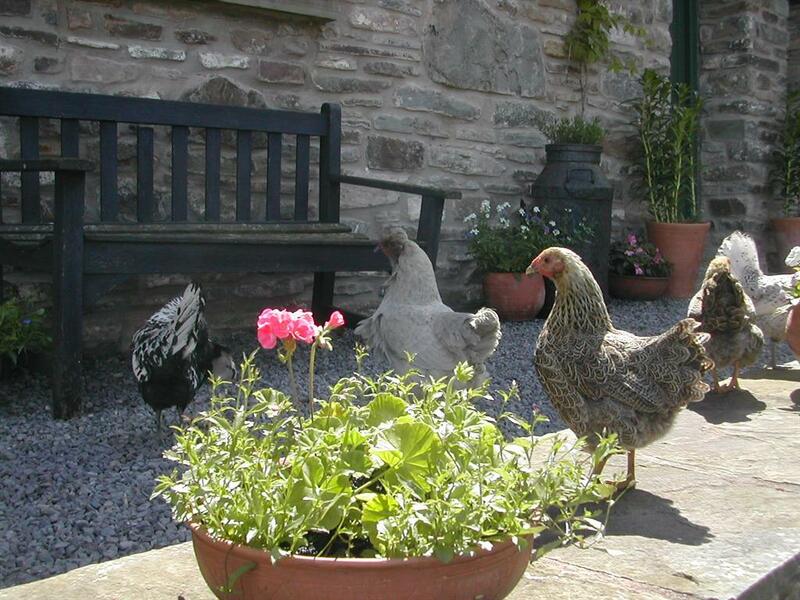 There is a wonderful view all around of the welsh hills and whether you visit in the spring, summer autumn or winter there is always some sort of domestic animal and wildlilfe activity happening around the gardens and fields! Duck Cottage and Damson Cottage are delightful romantic cottages each both graded 4* by Visit Wales for two people and are set back off the farmyard at Alltybrain Farm.They retain many old features such as flagged stone floors and great thick walls. 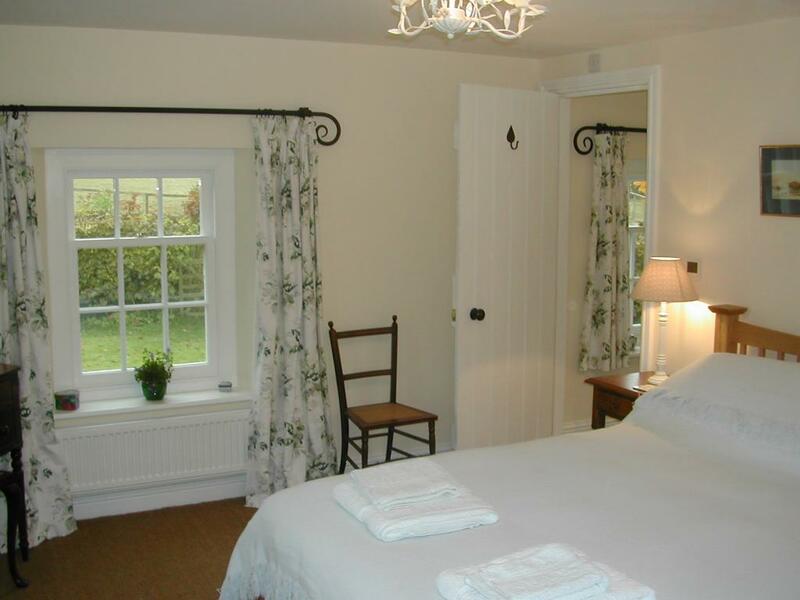 Both cottages have beautiful views from every window. 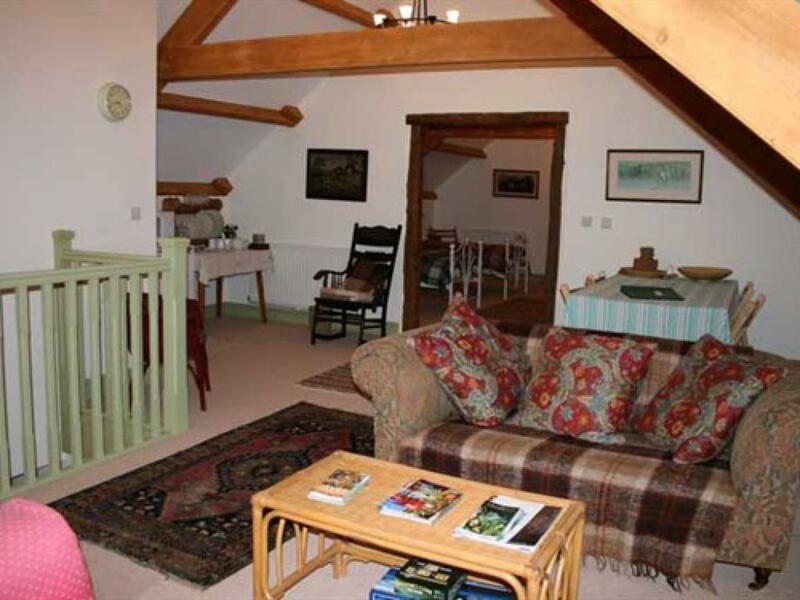 The Hayloft has a dormitory style accommodation which is perfect for Guests seeking short break accommodation near The Brecon Beacons. 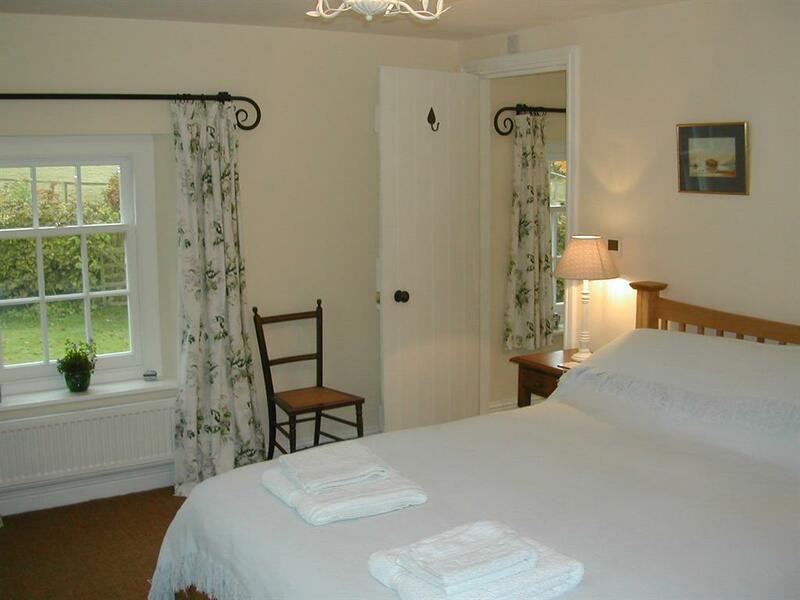 This accommodation can be booked for one, two or three nights. 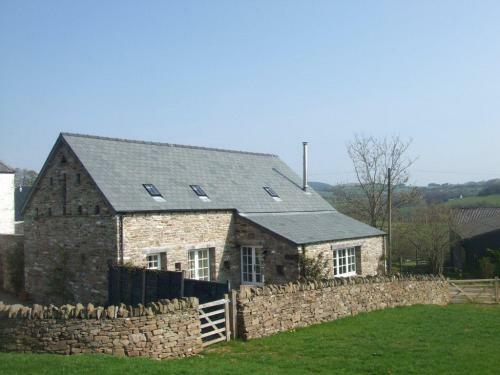 The Hayloft is fully centrally heated, very spacious and offers comfortable accommodation which can be booked for 2-4 people. . Alltybrain Farm is 4 miles from the market town of Brecon. Our village pub is within easy walking distance and Cradoc Golf Club is 3 miles away. The Brecon Beacons National Park has been awarded "Dark Skies Status" & on clear nights we have a wonderful constellation above Alltybrain Farm. The Visitors' Centre in our National Park is well worth a visit for information on historic sites, walks, bike & trekking trails. Fishing permits are easily available from The Wye & Usk Foundation. Hay-on-Wye is 30 mins away; Cardiff 50 mins. The Royal Welsh Show in July, Brecon Jazz in August,The Hay Literary Festival in May & The Brecon Beacons Food Festival in October are great local events. Our aim is to provide roomy, comfortable accommodation with thoughtful design for ease of access, convenient use of bathroom and kitchen facilities and with overall minimum discomfort and awkwardness to holiday makers with or without a disability.